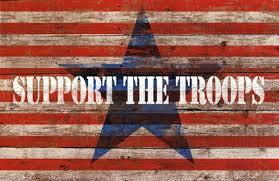 What have you done to support our troops lately? For one, I think that until U.S. Marine Sergeant Andrew Tahmooressi is released from jail, not a single American should set foot in Mexico. My family makes the trek to Cancun every year and this year we’re not going. Please join us in boycotting Mexico! The Obama administration foreign policy mantra: Short term gain for long term pain apparently. “The Obama administration often either denies any responsibility for the current global chaos or claims that it erupted spontaneously. Yet most of the mess was caused by, or made worse by, growing U.S. indifference and paralysis. Over the last five and a half years, America has had lots of clear choices, but the administration usually took the path of least short-term trouble, which has ensured long-term hardship. [Snip] In 2017, Obama may well leave office claiming to have reduced our military while avoiding conflict during his tenure. But will he also be able to assure us that China, Iran, and Russia are less threatening; that the Middle East, the Pacific, and the former Soviet republics are less explosive; that our own border is more secure — and that America is safer? To paraphrase Robert Frost: Two roads diverged in the world, and we always took the one of least resistance — and that has now made all the difference.” The Cost of American Indifference: By continually taking the path of least short-term trouble, the U.S. ensures long-term hardship. More on the above: “Hamburger is not some rabble-rouser with thoughts of fame or fortune in mind looking to make a name or attract an audience. Rather, he holds an endowed chair at Columbia Law School. He is a distinguished scholar specializing in legal history. He is the epitome of respectability. His book bears the imprint of an elite academic publisher and it draws on a deep well of original scholarship to address what he characterizes as a leading danger to the future of limited constitutional government.” “As Hamburger says repeatedly in this book, administrative law establishes a regime of the kind the United States Constitution was carefully designed to prevent. By his reckoning, we have returned to “the preconstitutional world” of the inglorious reign of James I: Royal edicts are in style, the Star Chamber is in session, and the king is working the outer limits of absolute royal power. It is a form of government that is, in Hamburger’s view, fundamentally unconstitutional, unlawful, and illegitimate. He has some impressive authority on his side. James Madison famously proclaimed “a political truth of the highest intrinsic value” in Federalist 47: “The accumulation of all powers, legislative, executive, and judiciary, in the same hands, whether of one, a few, or many, and whether hereditary, self-appointed, or elective, may justly be pronounced the very definition of tyranny.” Hamburger concurs, arguing that it may also justly be pronounced the very definition of agency government.” A New Old Regime: Obama’s exercise of prerogative power is not progressive — it’s a throwback to the British Monarchy. I ask my colleagues to oppose this resolution for it is in fact a veiled attempt at impeachment and it undermines the law that allows a president to do his job. A historical fact: President Bush pushed this nation into a war that had little to do with apprehending terrorists. We did not seek an impeachment of President Bush, because as an executive, he had his authority. President Obama has the authority. I think all campaigns are about smoke and mirrors. “It’s a worrisome sign for Senate candidate Michelle Nunn, whose campaign was roiled this week by the revelation of a months-old internal campaign memo that offered frank advice on what it would take to win in Georgia, a conservative-friendly state. The memo, reported by National Review‘s Eliana Johnson, portrayed a candidate with few core values, relying on friendly photo-ops to reassure rural voters and willing to take positions that would raise her the most money. Nunn’s stance on Israel, for example, was “TBD,” but her advisers strongly recommended taking a supportive position, thanks to “tremendous financial opportunity” in the Jewish community.” The Secret Weapon to Win Over Voters: Authenticity: It’s becoming harder for red-state Democrats to say what they really think on hot-button issues.